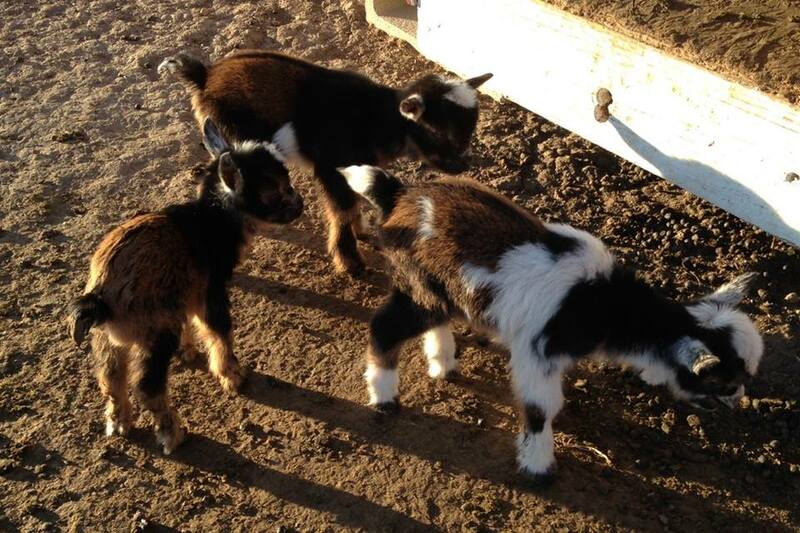 Baby goats born Spring 2014. 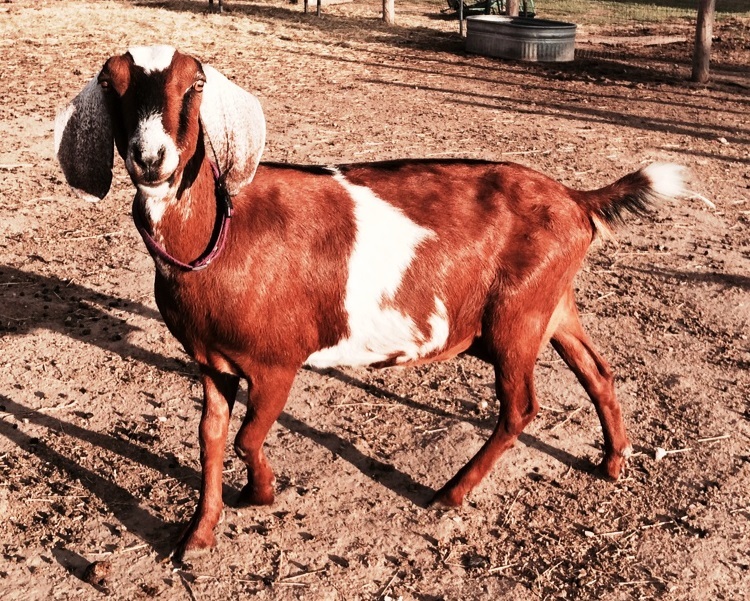 We raise and breed goats on our farm for many reasons. 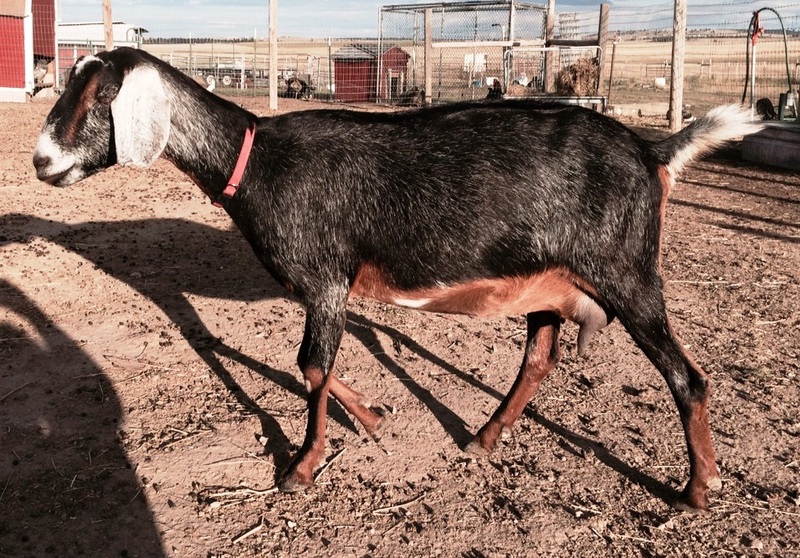 Goats are easy keepers in that they don't eat as much as cows. They provide milk for those who may not be able to drink cow's milk due to allergies. 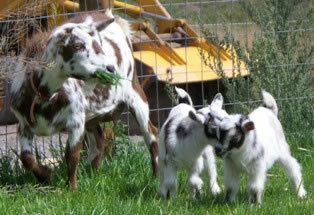 Goats are also great companions to larger animals like horses. 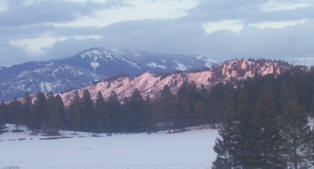 Our Colorado Mountain Dog puppies are raised with the goats and become great Livestock Guardian Dogs. 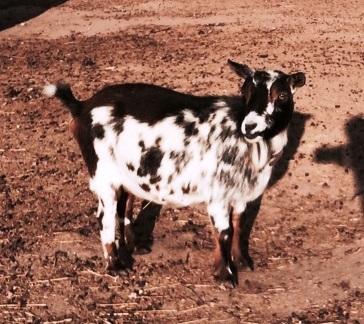 "DallyUp Ranch Cappuccino" (Cappuccino) is a white and brown purebred NDGA- and AGS-registered Nigerian Dwarf doe. 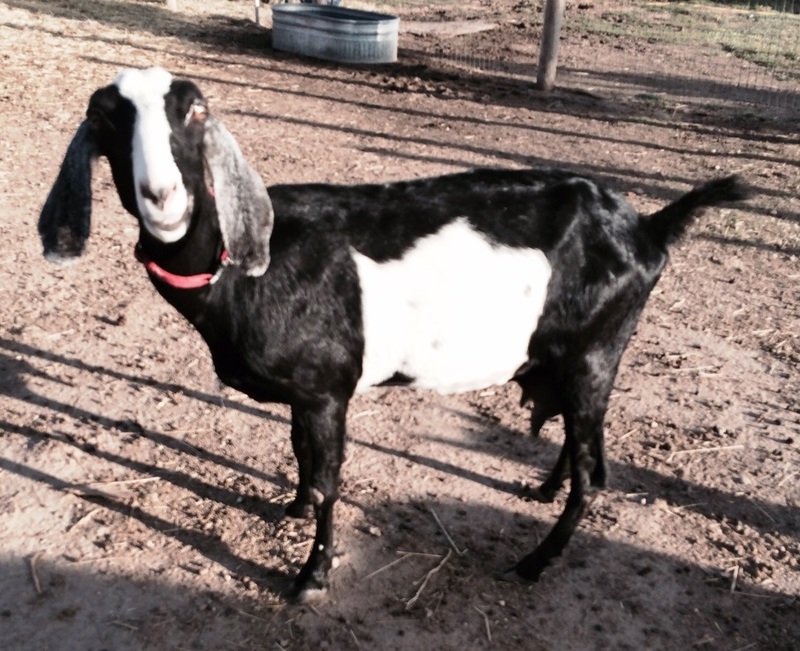 "Blessings Acres Calico" (Calico) is a tri-color (black/brown/white) purebred NDGA- and AGS-registered Nigerian Dwarf doe. Her parents are "Ponders End MTB Tribute" (sire) and "Ponders End MB Fascination" (dam). 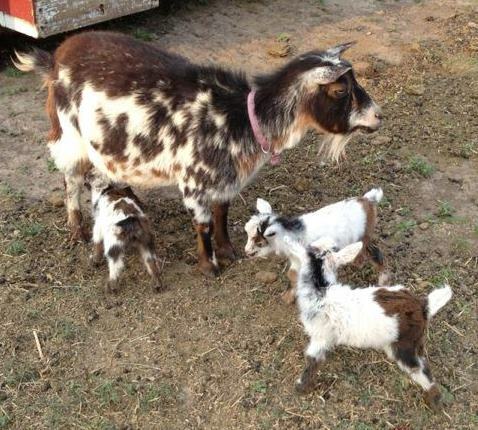 "Blessings Acres Hershey" (Hershey) is Cappucino's baby born Spring of 2009. The father was our buck, Expresso. 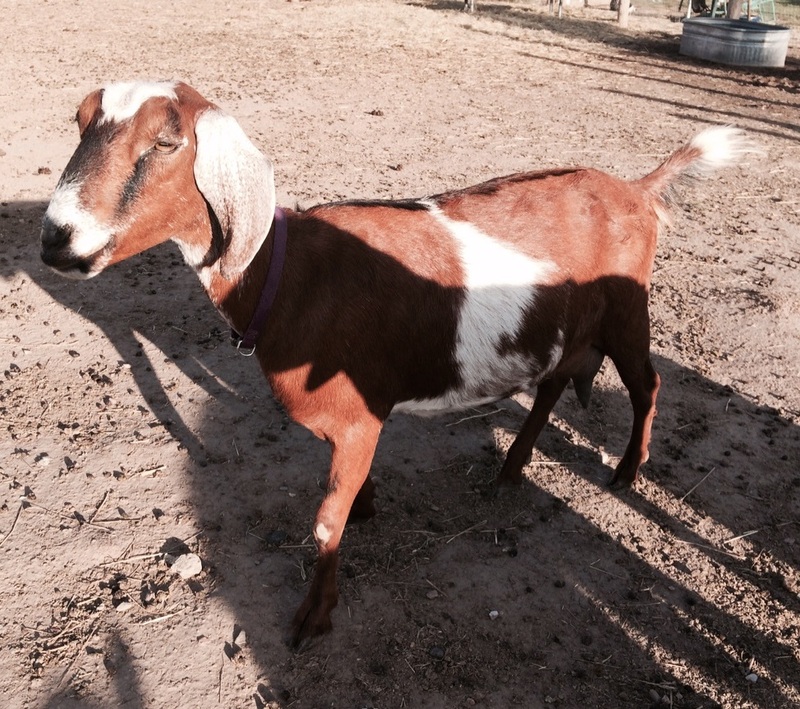 She is a chocolate doe with a white blaze and she is double registered NDGA & AGS.